Sports fans are known to celebrate the success of their teams in various ways, rather that be through wearing team memorabilia or flooding the streets, chanting the teams name. This time around fans of the Calgary Hitmen showed their love for their team & charity by throwing twenty-eight thousand different teddy bears. There’s footage of nineteen thousand attendee’s throwing the 28,815 teddy bears, meaning that many of those whom attended purchased more than one bear. This teddy bear tossing was a part of the “Petro-Canada Teddy Bear Toss”. Each one of these teddy bears will be provided to children throughout the Calgary community & more. These kind of fundraisers for charities have been done countless times before with various hockey teams. The Teddy Bear Toss now stands as an annual tradition with every professional league based hockey team across Northern America, fans have adopted the tradition as well. After the ice was filled with teddy bears from nearly every angle, it took clean up crews more than forty-five minutes to clear the ice of the bears before this game could resume. Players weren’t angry through as it provided them a far greater amount of time to relax between period. 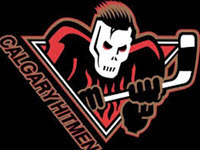 This year was also a world record for the Calgary Hitmen, next year they hope for even more. There is a variety of clips on YouTube which showcase this bear tossing and countless others, others that eclipse this one by land shot. It’s these acts which show that there is still good within the world & that bad doesn’t surround every corner of the globe.